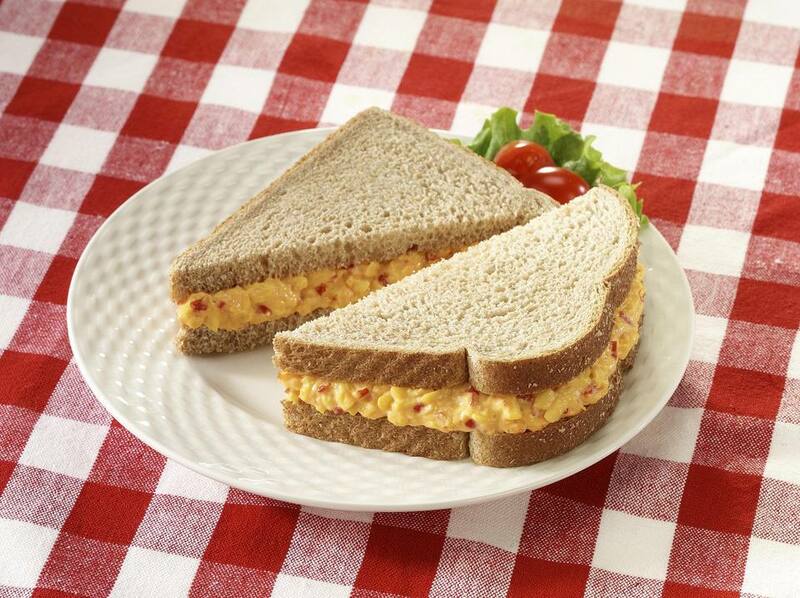 This classic pimiento cheese spread can be used as a sandwich spread, appetizer spread, or dip that goes well with crusty french bread slices, apple slices, or crackers. It's so tasty that your guests will ask for the recipe. If they happen to ask about pimientos, here's a little more information that you can share. Pimientos (or pimentos) are red bell peppers that have been broiled or grilled until the skins blacken. The peppers are then placed in a paper bag to steam. The skins will slip off easily after they have steamed for a few minutes, and the results are smooth, silky, and slightly smoky. You can make your own pimentos if you'd rather instead of buying prepared. Use one red bell pepper for a 4-ounce jar. This spread will keep well in the fridge, tightly covered, for up to 4 days so it's ideal to make ahead for a party. If you prefer to make it as a dip, simply add enough heavy cream or mayonnaise for the right consistency. In a medium bowl, add the cream cheese and mayonnaise. Beat well with a mixer until smooth. Add the onion, garlic, sugar, salt, and pepper. Beat well until combined. Add the cheese and beat until blended. If a dip is preferred over a spread, add heavy cream or more mayonnaise until desired consistency is reached. Gently fold in the chopped pimientos. Cover the spread tightly and refrigerate until just before serving.